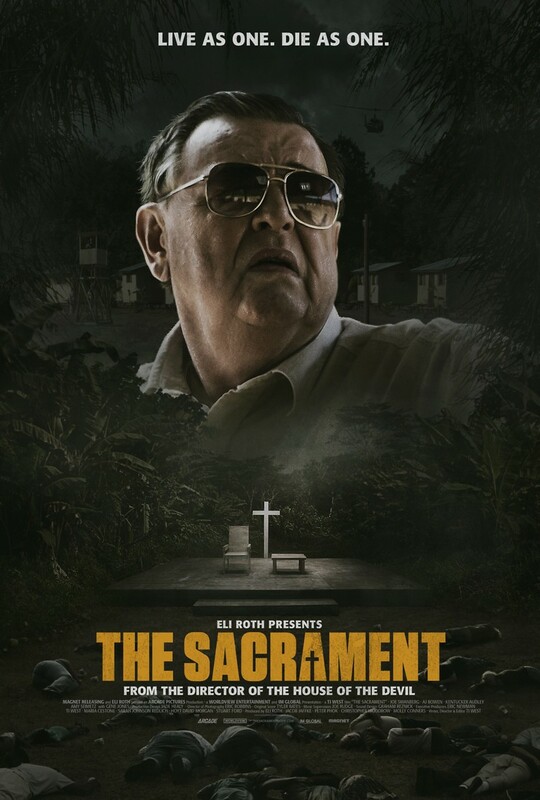 The Sacrament DVD and Blu-ray release date was set for August 19, 2014. Patrick's sister Caroline has been living in Eden Parish ever since she got out of rehab. Seeking to visit her, Patrick is made a bit wary by his sister's refusal to provide the commune’s exact location. Attempting to reach his sister despite the feeling in his gut, Patrick is joined by Jake and Sam. The two are friends of Patrick feel that there may be a story to be had by filming their travels to the supposedly idyllic commune. Together, the trio makes their way to Eden Parish to find what appears to be a slice of Heaven on Earth. However as Jake and Sam interview their way through the community, they soon discover that something sinister may be lying just under the surface.